The company also acquired a leading local property management company, Chesterton Petty, back In 2007. In total, Savills Vietnam has 800 employees working in their three offices. Savills won several awards in the last few years that include the Best Business Superbrand in the real estate sector by The Center of Brand Analysis. The company also ranked as the best employer in real estate sector by The Times for three consecutive years 2007, 2008, and 2009. Savills manage luxury residential, commercial, shopping centers, and industrial properties. They currently manage over 2.5 million square meters of luxury residential and commercial properties in Vietnam. The property management services further include building management, facilities management, financial management, pre-management, consultancy, and resident solution. Windsor Property Management Group Corporation, also known as WMC Group, is a leading property and hospitality service management company based in Ho Chi Minh City. 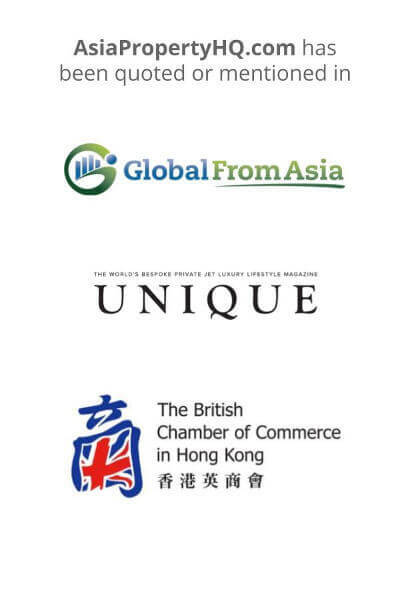 WMC Group was founded in 2004 and currently employs more than 200 people. They’ve recently appointed a new vice president, a German national, Mr. Kai Speth. Mr. Kai Speth is currently also working as General Manager of The Reverie Saigon. He was also voted among the Top 10 Businessmen in Vietnam in 2011 by the Business Style Magazine. They offer property management services to a diverse range of properties that include commercial shopping centers, offices, restaurants, hotels, and serviced apartments. Some of the well-known properties they currently manage include Windsor Plaza Hotel, The Reverie Saigon, Mayfair Suites, and Sherwood Residence. Builwork Vietnam is a Japanese Property Management Company with a core focus on quality, system integration and efficiency. It’s a direct subsidiary of Builwork Inc., which was incorporated in Sendai Japan in 1962, and is one of the largest property management and building maintenance companies in Japan. The company provides services to Japanese International Standards at market competitive rates, so price and quality go hand in hand and one must not be substituted for the other. Builwork Vietnam’s Management Board is comprised of Japanese, Vietnamese and British individuals, who are committed to providing the highest quality in the industry, as well as equal and fair employment opportunities and training for its operations personnel. Builwork currently operates in Japan, Vietnam, Singapore and Cambodia, has over 1,000 customers under contract, and 1,800 employees. 1st Floor, 104 Nguyen Cong Tru St, Nguyen Thai Binh Ward, District 1, Ho Chi Minh City, Vietnam. 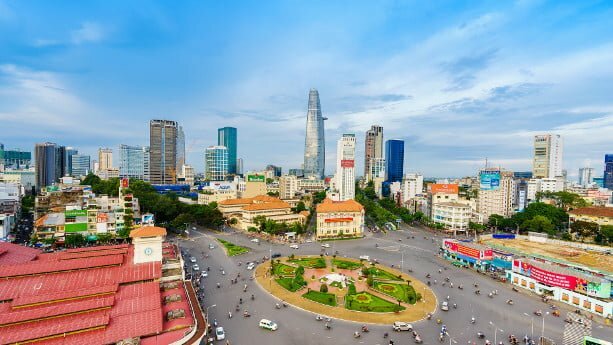 VN Renting is a property management company based in Ho Chi Minh City that mostly focuses on providing rental services to expats in Vietnam. The company mostly offers long-term rental services to its clients, and offers services in Ho Chi Minh City, Ha Noi, Da Nang, and Nha Tang. They list all the properties on their website, also offering photography services to upload professional pictures of the property on their website. They do not list their properties on Airbnb and mostly provide long-term rental services. VN Renting offers a wide range of property management services for office, retail, commercial property management as well as residential rentals. They also offer separate flat management and residential management services. The services also include rent collection, rent reviews, service charges, responsibility for repairs, re-letting, and lease renewals. In total, they’re currently managing more than 1000 residential properties in Vietnam. JLL is global brand and the second largest property management company and real estate agency in the world. It’s a Fortune 500 company that has a presence in more than 80 countries. Also known as Jones Lang LaSalle Incorporated, JLL is based in the US but employs more than 83,000 employees all over the world. It has offices in more than 300 cities across the globe. In Vietnam, it was established in 2006. The head office is based in Ho Chi Minh City, but they also have another office in Hanoi. It also serves the same two cities. Stephen Wyatt is the country head of JLL Vietnam who joined the company in 2013. He also worked for several international property consultants in Europe and Africa before he joined JLL Vietnam, and has 20 years of experience working in the real estate sector. JLL Vietnam has received many awards in the last few years that include Asia Pacific Property Awards 2015 Highly Commended Property Consultancy. They were also ranked among the World’s Most Admired Companies by FORTUNE. They do not list properties for short-term rentals on Airbnb and only offers long-term property management services. They offer a wide range of property management services to corporates, investors, and developers. For corporate clients, they provide facilities management, property management, and asset management services. They also offer a long list of services under property management like engineering services, cleaning, janitorial, security, and landscaping services, workplace solutions like transport, reception, catering, and concierge, and occupancy services. Some of the popular projects currently managed by the JLL Vietnam in Ho Chi Minh City are Saigon Centre Phase 2 and Deutsches Haus. Christina’s is the property management and travel accommodation company based in different cities of Vietnam including Ho Chi Minh City. The company manages your property as an accommodation for travelers for short-term as well as long-term rentals. It’s more of a travel experience company than property manager that offers travel and tourist adventure services along with accommodation. To provide accommodation to travelers, they manage private residential properties. They started at Ho Chi Minh City, where the head office is based, but now have a presence in Da Lat, Nha Trang, Hoi An, Da Nang, and Hanoi. They also list properties on Airbnb and similar online channels and offer both short and long-term rentals. You can list your property on their website, just like Airbnb, and they will list it as a social accommodation option for the travelers and tourists. The company simply uses your property for vacation rentals. They also offer cleaning services for the listed properties, after every three days. Christina’s also has their in-house maintenance team that regularly looks into maintenance issues. For the full-service management, the company charges 25% of the net revenue earned by the property. Below I’ve listed property management companies in Hanoi. Vina Rental or Vietnam Real Estate Agency is a leading property management and rental management company that is based in Hanoi. The company owns several property management websites and other property management companies operating in different cities. These companies and websites include Hanoileasing.com, Hanoihouserental.com, hochiminhrealestate.vn, cipurtahousing.com, and servicedapartmentshanoi.com. The Vietnam Real Estate Agency manages all these websites. The company provides homeowners an opportunity to list their properties on their website for rental income while helping locals and expats in finding affordable rental homes at the same time. They deal with both residential and commercial properties, and manage serviced apartments, apartments, houses, villas, and luxury apartment buildings. They don’t list the properties on Airbnb for short-term rentals, but only for long-term rentals on their own network of websites. They list properties, mostly residential on their website for rentals. You can simply upload the pictures of your property on their website, with address and expected rent. PMC or Property and Management Company is a full-service third-party real estate consultancy firm that also offers property management services. The company is based in Hanoi that was established in 2009. The company employs around 400 people that make them one of the largest property management firms in Hanoi. PMC is known for its customized services for different types of properties, like specialized services for headquarter offices, offices for lease, hotels, shopping malls, serviced apartments, or condominiums. They offer long-term property management and rental management services and do not list the properties on Airbnb and similar services for short-term rentals. They offer property management services to residential and commercial clients that include retails, offices, apartments, mixed-use communities, and houses. Below I’ve listed property management companies in Da Nang. CVR, also known as Central Vietnam Reality is a real estate service provider and property management company based in Da Nang. They offer services in Da Nang, and neighboring areas like Hue, Land Co, and Hoi An. Peter Frieske is the founder and managing director at Central Vietnam Realty. He also owns another sister company, Luxury Property Danang. He’s a US national who is living in Vietnam for last five years. They offer both long-term and short-term rental services, and list properties on their own website for vacation rentals. CVR offers customized property management and rental services to residential owners, developers, and investors. CVR manages several resorts, commercial, and residential projects in Da Nang that include TMS Luxury Condotel, Cocobay Danang Resort, and Monarchy Danang Apartments. Da Nang Beach Villas is a property management service that offers vacation rental services to tourists and travelers. They list residential properties in Da Nang on their own website, and also on other online channels like Agoda, Airbnb, and HomeAway for short-term rentals. In addition to marketing, they also prepare the property for higher rental returns. In addition to managing and marketing residential property for short and long term rental income, the company also provides laundry, house cleaning, 24/7 tenant support, and maintenance services for no additional costs.